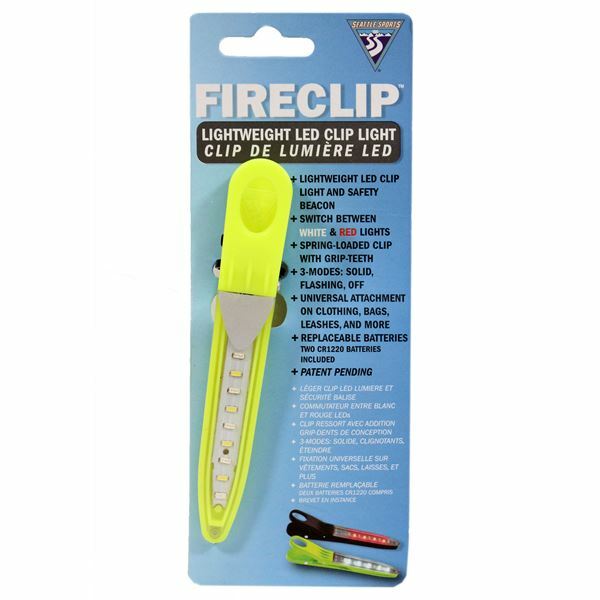 A lightweight, clip-it-anywhere LED light and safety beacon. Switch between white and red LED’s with the two-mode feature. The spring-loaded clip with added grip-teeth design allows for universal attachment on clothing, bags, leashes, and more. Choose between a black or green clip. Also available in a 2-pack.